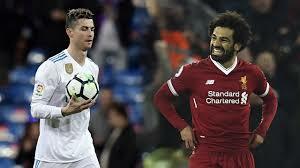 Liverpool vs Real Madrid :Champions League final live stream info. Liverpool faces Real Madrid in the 2018 UEFA Champions League final in Olympiyskiy Stadium in Kiev,on Saturday night. Its chance for Jurgen Klopp's Reds to make themselves legends, they hope to win their sixth European Cup.While Real eyeing their third Champions League in a row and fourth in five years. The Champions League final takes place on Saturday (May 26) with Liverpool taking on Spanish giants Real Madrid in Kiev. The game marks Liverpool’s biggest game since the Champions League final of 2005, where they ran out victorious against AC Milan in an unforgettable night in Istanbul. Real Madrid will be doing everything in their power to stop them though following a forgettable domestic campaign in La Liga. Captain and talisman Cristiano Ronaldo has been in fine form, scoring 15 goals in the Champions League this season and giving Jurgen Klopp’s men cause for concern. No Comment to " Liverpool vs Real Madrid :Champions League final live stream info. "